Two years ago, Amazon CEO Jeff Bezos drew attention to the possibility of drone deliveries by discussing their future as a part of Amazon. Since then, the role of commercial drones has become more discussed, leading to some potentially important future developments. Responding to these changes can lead to major reforms if supply chain managers seek out strategic and skilled managed IT services. 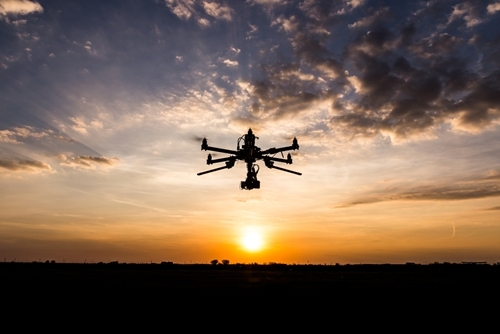 The Federal Aviation Administration announced a rule that would affect piloted drones beginning this August. The original June FAA notice explained the Small Unmanned Aircraft Rule (Part 107), which came with specific restrictions for "transportation of property for compensation or hire." These include geographical requirements and a 55 pound weight limit on both the aircraft and its cargo. It's worth noting what this rule does and doesn't require. While there are extensive responsibilities listed for remote operating pilots, the body of the drone (or "aircraft," as it's referred to here) itself does not. Instead, the pilot is simply instructed to conduct a check before use, with the actions involved in the check left unspecified. However, the FAA does have the right to access the vehicle for inspection, and must be notified if an unmanned vehicle causes serious injuries or property damage. In addition, the organization announced the first meeting of the Unmanned Aircraft Safety Team, meant to be the start of a greater push toward better safety measures. The FAA said that this was based on other groups such as the Commercial Aviation Safety Team. "The Federal Aviation Administration announced a rule that would affect piloted drones this August." Supply Chain Digest also recently reported on some meaningful developments in the world of drones. Along with delivery, drones could assist with warehouse activities, using bar code information and digital mapping to navigate complex storage centers. It would require different systems from the drone used in delivery, but it could also be an important aspect of supply if handled well. Though it may have less of a direct effect on companies themselves, public perception of what drones can do is also a possible factor in its growth. A U.S. Postal Service Office of Inspector General online survey of 1,465 people recently looked at the growing feelings toward drone deployment for delivery purposes. According to this source, the supposed time-saving aspects of drone delivery appeals to the public, along with the ability for enhancing emergency services. At the same time, American citizens are largely afraid of the possibilities of drone malfunction, even while 75 percent of them foresee them arriving within ten years from now. While 23 percent of respondents say they don't like or dislike drone delivery, 44 percent said they are in favor of it. This is a full 10 percent more than the amount of Americans who fully dislike it. Even as businesses research drones for supply purposes, there appear to be possible setbacks in store before they become common. The Wall Street Journal reported on a possible disruption to Project Wing, a drone-based project undertaken by Google parent company Alphabet. The source said that the project will no longer have two members of its team and is now four years in the making. Procurement management and other essential tasks are all part of a functioning supply chain, as are the tools need to make them work.